Our primary goal at nichemarket is to help you nicheseekers and nichemarketers find local businesses and service providers which often times is hard to do with traditional search engines currently available today. Local businesses are often marginalised or are not sure how to get listed on search engines like Google. Add to the fact that the continued competitive nature for search result spots in both the organic and the paid search space makes it even harder for the local vendor to get started or reach online users in his area. In order to help both nicheseekers and nichemarketers find local businesses, we've developed our own custom search engine. Our "Business search" is located in of the site. 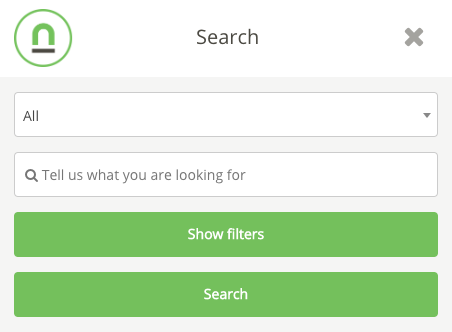 To start searching for a business all you need to do is navigate to and click on the green magnifying glass which should activate our business search option. You can use our search to look for a specific business by name or by the service they render. Then click search. If you would like to narrow down your search even further you can select a category from the drop-down which is set by default to "All". 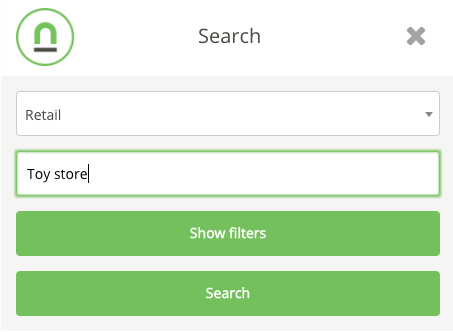 Click the drop-down arrow and select a specific category you would like to search within. If you would like to add further refinements such as finding a business based on your location or a specific location then you are free to do so. 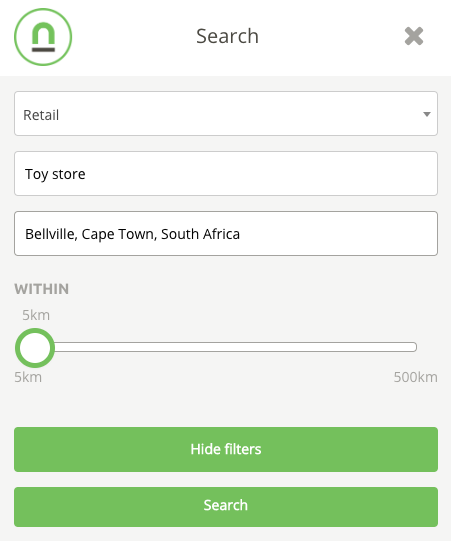 Simply click the "show filters" button and add in the desired location as well the distance you're willing to travel from that location to find a business. If you're still not finding what you're looking for don't freak out. As new businesses continue to register on nichemarket you will see an improvement in the number of results in your search. You can also contribute to the improvement of search results by registering your business or getting a friend to register their business.